We are a leading Manufacturer of mosaic tile making machine from Coimbatore, India. We offer high quality Mosaic Tile Making Machine. These are single plate fabricated using heavy duty steel. 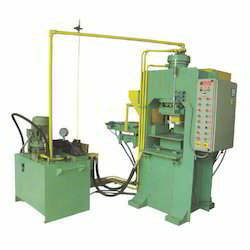 We offer these Mosaic tile machines with auto pressure control and hi-tech control panel. These are easy to operate with their one touch operating system. Made of quality raw material, our machines pass through stringent quality control checks to ensure strict adherence to industry standards and parameters. Looking for “Mosaic Tile Making Machine”?